Real time water flow data are available via the US Geological Survey website. Data are available for the lower 48 states. Many folks fish, canoe, raft, etc, these waters and often waters are a great gauge for other areas nearby. Because I do a lot of teaching of beginners, I post this info for students, customers, and visitors to our site and area so that they may make determinations on whether an area or river is fishable/marginal/safe or not safe to wade or float. Also, rivers can be dangerous in changing conditions and not all rivers have gauges and the only way to get an idea of what a drainage might be like is to look at streams in the surrounding area and the general direction of weather systems. An example of that is the New River drainage in Ashe and Alleghany Counties, NC….what happens on the New is a direct result of what happens upstream…the many tribs….Helton, Little Helton, Big Horse, Little East Fork Big Horse, Laurel Creek….all impact the flow in the main river. Important…!!! !—-> In reading real time water flow data, note the amount of flow in cfs and compare the number with the top graph on the page. The triangles indicate what normal seasonal flow for that time of the year is. The amount or percentage above or below that line indicates the deviation from the norm. For flows well below the line of triangles, this is indicative of abnormally dry conditions or moderate to severe and even in some cases extreme drought. A straight vertical line ( upward) indicates a severe weather event with significant flooding, high water, and a straight downward line indicates falling water. Fishing is generally good to excellent in the later phases of falling water while it is still a bit high and colored but not far from normal. Some of these waters we guide on , some we do not. We are familiar with all of them. We rely on these gauges and over 35 years of fishing experience to make decisions as to what constitutes safe fishing conditions. While we rely on the data you still need to do some of your own research. 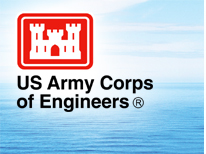 We are not responsible for the accuracy of gauges, nor the data they provide, they are managed by the USGS in some cases, the TVA, AEP, and the Army Corp of Engineers for others. If you get to the place you have planned on fishing, and you have any doubts as to whether its safe to wade/float or not, let wisdom and common sense be your guide and go somewhere else. Click for Wrightsville Beach, NC surf reports.